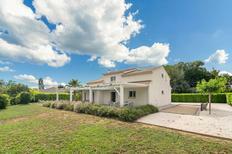 Large, well-equipped pool villa for six people in Lacanau-Océan. Aquitaine | ​It can get hot under the sun in southern France. Those who can call a pool their own will have found the ideal place to stay. 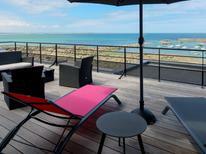 View from the terrace of a holiday home for seven people on Corsica’s west coast. ​Corsica | The "Île de Beauté", as Corsica is also called, is undoubtedly one of the most beautiful islands in the Mediterranean. You’ll find holiday homes here that lie directly by the sea. 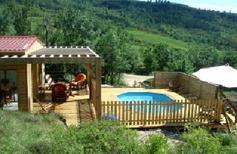 A holiday house in France costs on average GBP 814 in the cheap travel period and GBP 1,388 in the peak season per week. These details are of course in relation to the house and not per person as well as includes the obligatory additional charges. atraveo is the official partner of the French Tourist Board. The 100th occasion of the world’s largest bike race is underway. Come on a journey with us through the regions which the tour will visit in its anniversary year. France is known as the ultimate country for wine enthusiasts and gourmets. Next to selected grape varieties which grow in preferred locations and form the basis for these excellent wines the French cuisine has an outstanding global reputation. Spend your holiday home vacation in the land of culinary delights! We would like to present you some typical holiday home regions where food and drink plays an important role. “To live like god in France” – is that just a hollow proverb or is there more to it? You should head off yourself to the beautiful country between the Atlantic Ocean, the Mediterranean Sea and the Alps to discover it for yourself. 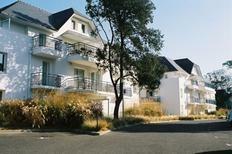 atraveo provides more than 26,000 holiday houses and apartments in France. The choice is as diverse as are the French regions. Whether you prefer a small house in a typical French village, for example in Aquitaine, a restored medieval farm house in Brittany or the Normandy, a luxury villa with pool at the French Riviera or a studio in Paris – it is up to you. It can be of advantage when you haven’t yet made up your mind about the exact holiday destination to browse through offers in the various regions in France. 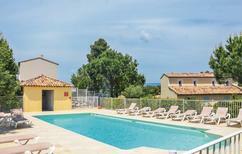 You will surely find your ideal holiday house or apartment for your vacation in France. Whether the rough beauty of Brittany, the lovely scented fields of the Provence, the picturesque castles and chateaus in the Loire Valley, the sophisticated coast of the Côte d’Azur, the impressive relief of the High Alps or the unique Paris, the city of love – France has a lot on offer. You can live well and enjoy great holidays anywhere in France – it only depends on your preferences and needs for a successful holiday home vacation. The best way to experience the country is to embrace country and people, soak up French culture and “savoir vivre”, the typical French interpretation of love of life. Discover numerous French delicacies and of course the world-famous French wines. It will not take you long to understand what it means to live like god in France. Simply a holiday with passion. Not only the various landscapes and regions are popular travel destinations but also the French cities have a lot to offer. One can for example spend a great short trip in one of the many cosy holiday apartments. Our recommendations for your city trip in France: The inland cities Strasbourg, Nantes and Lyon. In the area of the Mediterranean Sea especially Marseille, Nice and Aix-en-Provence impress their visitors while when visiting the west coast you should not miss out on Bordeaux. And last but not least of course Paris, the French capital. Wouldn’t it be nice to wake up one morning in Paris? For the little ones who might be less keen on a city trip Disneyland-Resort-Paris near to the French capital may be more appealing. Choosing a holiday home will give you far more independency and is an attractive option compared to the usually overprized hotels within the theme park. 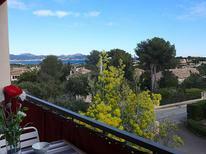 In France and its regions you can enjoy great holiday home vacations at any time of the year. During summer the beautiful beaches at the Mediterranean Sea and the Atlantic Ocean attract tourists for relaxed beach vacations. During winter the French Alps and the Pyrenees are ideal for ski holidays. 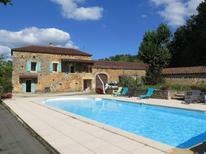 Almost all French regions offer great holiday conditions all year round for holiday home vacations. For example the Côte d’Azur is worth a visit outside the peak holiday times like iss also Brittany which beauty can also be discovered in rougher climatic periods. 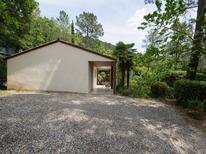 A typical Breton holiday house with a fire place is ideal for cosy evenings.